Beit Issie Shapiro provides pioneering learning support for Eytan Gluschnaider (left), who suffers from a rare genetic disorder. Raising a child with special needs is challenging for parents. In addition to the ‘regular’ duties of parenthood, we need to deal with endless treatments, bureaucracy and stress. However, we do often receive help from the local community, and my son Eytan, who has Rubinstein Taybi Syndrome, is well accepted by society. 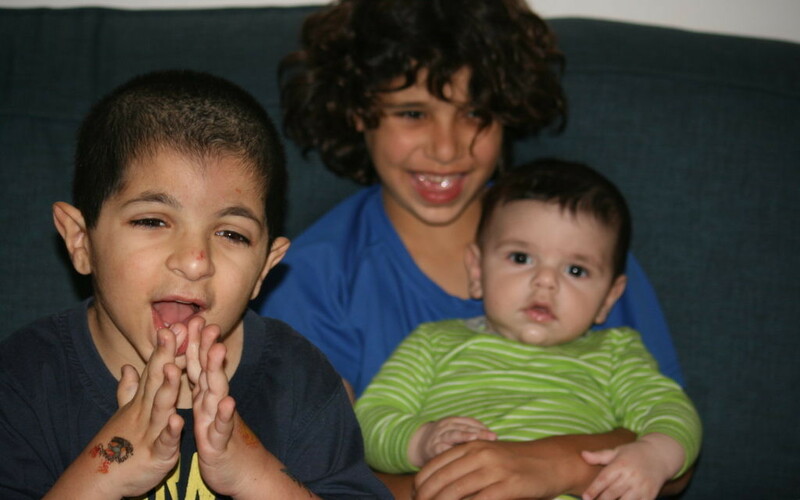 One of the challenges of raising Eytan comes from a different point of view – that of his brothers. The siblings of children (and adults) with disabilities are often pushed aside. It is very common for them to hear, ‘There is nothing wrong with him, so he will have to cope with the problem by himself.’ The ‘normal’ children in a special family do not always get the chance to actually be children. Eylon, our oldest, nine year old son is a gorgeous, handsome and clever young boy. Before he turned three, he was forced to become a care giver. He has a six year old brother that does not speak to him, draws his parents’ attention away from him and can never fight back in the usual way that brothers do. Eylon also has to deal with feelings of shame and guilt when inviting friends home or at any social occasion. Elad, our sweet baby, was born into our special family and even from early infancy he needed to step aside. I am sure that he will help Eylon to care of Eytan when he is older. Beit Issie Shapiro is helping our entire family and not just Eytan. They organise seminars for parents that focus on siblings and give us the tools we need to better understand and support Eytan’s brothers. They regularly hold ‘sibling fun days’ where brothers and sisters can meet other children facing similar challenges. The children see that they are not alone and meet new friends who understand what life is like for them. I sometimes take Eylon to train for the marathon with me. This quality time we spend together brings him closer to my running world. More importantly, it shows him that running is another way of helping to deal with life’s challenges.